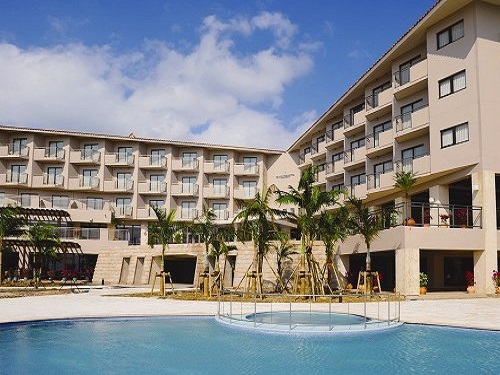 Grand Vrio Hotel Ishigaki Resort has just opened in February 2008 and overlooks Taketomi Island.Spacious lobby is suitable for southern resort atmosphere. There are indoor/outdoor pools,large open-air baths and spa to ensure guests a relaxing experience. Fusaki Resort Village is located at Fusaki Beach on the west coast of Ishigaki Island, and features the cottages with Okinawa's traditional red roof tiles.The cottages are lined in the site where green lawn spreads,and hibiscus and bougainvillea blossom. 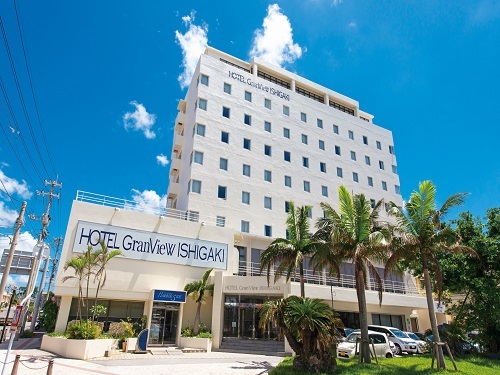 Hotel Granview Ishigaki is a hotel which combines the functionality of a city hotel and the comfort of a resort hotel. The guest rooms are decorated with simple and easy style, and high-grade facilities are equipped to deliver a vacation always remained. Taketomi Island is famed for its star sand beaches, and Iriomotejima is one of the last unexplored islands covered in tropical forests. In the heart of the Yaeyamashoto chain of islands on Ishigakijima. 5 minutes by walk to Ishigaki port islands terminal, the base for sightseeing around the islands. 7 minutes by walk to the largest business and shopping district of Ishigaki Island. Please enjoy the Ishigaki stay. The gate with red tile roof implying the culture of Okinawa is the guide of Hotel Miyahira. 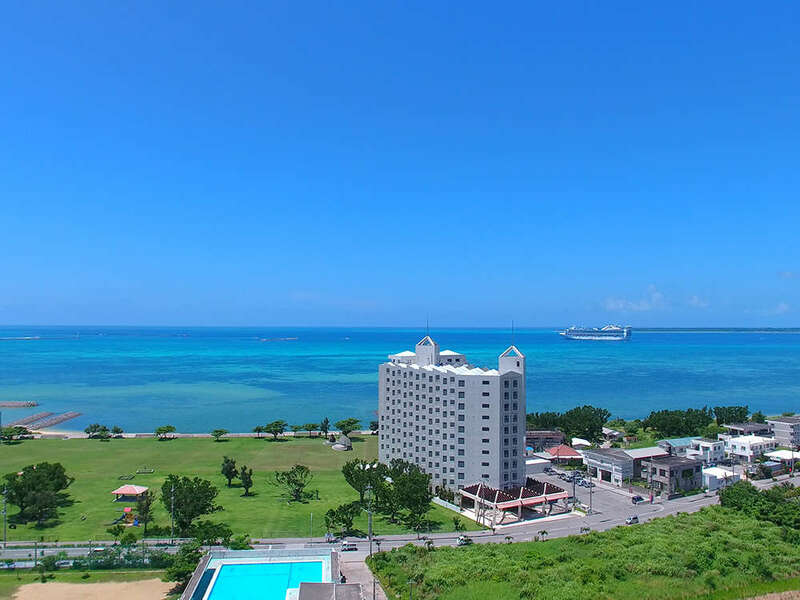 The hotel is located in front of Ishigaki Port which is the base for Taketomi Island and Nishiomote Island. It is adjacent to the bus terminal. 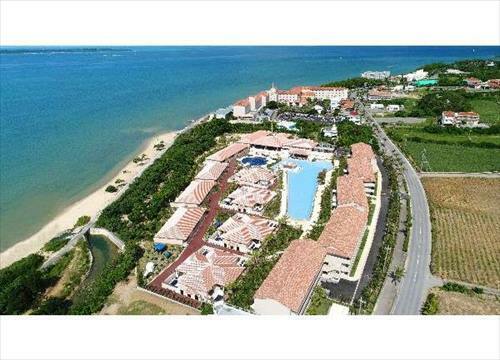 Located in the South West area of Ishigakijima, located in an ideal location overviewing the surrounding islands. The sunset is a delight for all visitors. 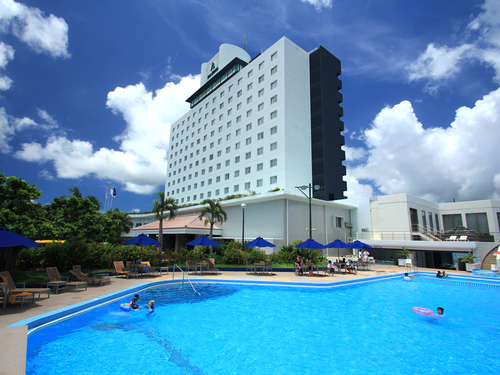 This hotel is among large resort facilities where the guests can use various facilities (e.g. restaurants, communal baths, swimming pools). They has beautiful Ryukyu tiled roof in harmony with blue ocean. Please feel the atmosphere of Ancient Okinawa. 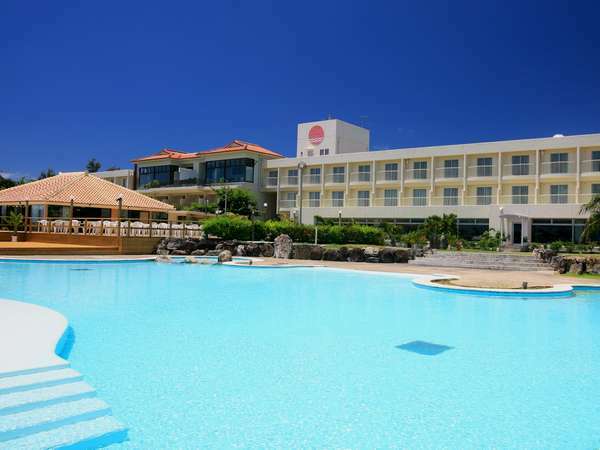 Situated in front of the Maesato Beach, the hotel offers 2 swimming pools, 5 restaurants, a short golf course, two all weather tennis courts and many more. We're a mere 10 minutes from downtown and the ferry terminal if going to the neighboring islands. Route Inn Grantia Ishigaki is located close to Ishigaki Airport and the pier for isolated island, and opened in March, 2001. The hotel is convenient as the base for business and sightseeing. Parking lot is provided for free. 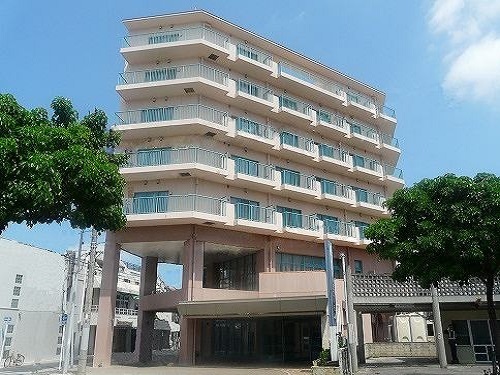 Hotel East China Sea is conveniently situated in front of Ishigaki Port Ferry Terminal. The hotel offers the view of the Yaeyama Islands floating in the ocean from the balcony. Please enjoy the creative cuisine featuring ingredients of Ishigaki. 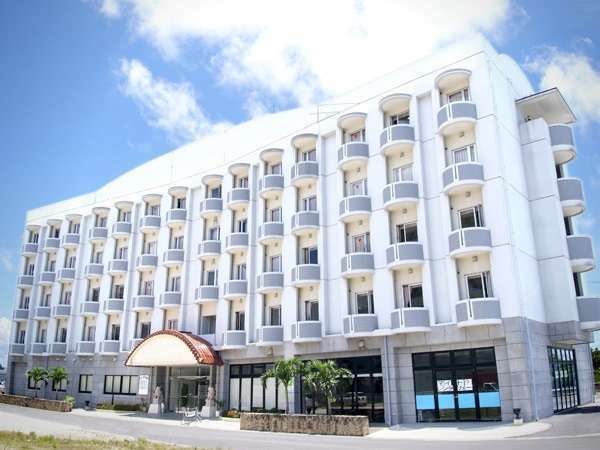 Vessel Hotel Ishigakijima features single rooms with the space of 21 square meters and twin rooms with 26 square meters. It is more spacious than the average business hotel room. The bed is queen size and it is 154 cm width. 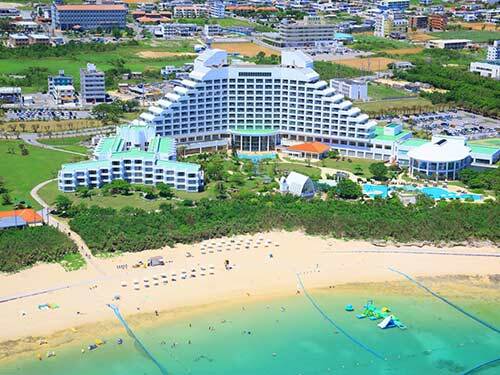 Ishigaki Seaside Hotel is the oceanfront hotel on picturesque Sukuji Beach and the beach is only 1 minute away from the room. 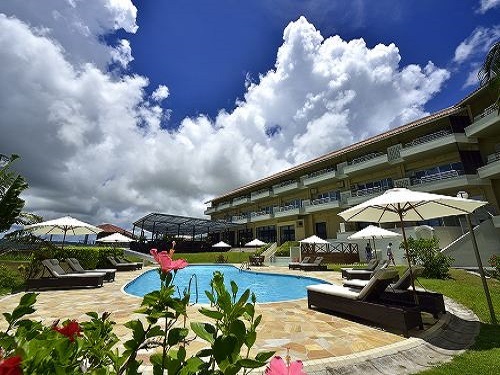 After enjoying marine activities, please relax and refresh at the resort's main spa..
Royal Marin Palace is condominium hotel in Ishigakijima Island and has ocean views from every room. Rooms are spacious allowing guests to really relax and enjoy the stay. In addition, please enjoy listening to the sounds of shamisen music. This hotel is located in a quiet environment with the red roof and the hidden resort hotel good for long stay guest. All rooms are suite ocean view with 58 square meters suite type, the bed and living room are separated. 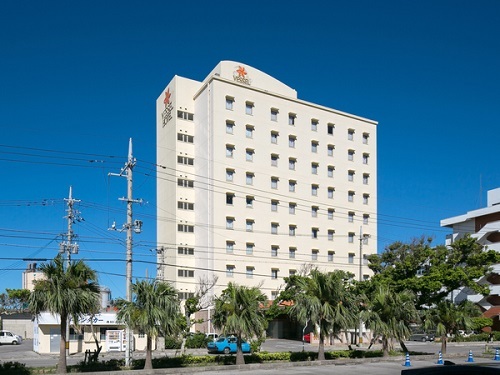 Hotel Peace Island Ishigaki In Yashima is located 7 minutes by car from Ishigaki Airport and good access to ferry terminal and downtown. All rooms are with washing machine with dry function, 2 door refrigerators and microwave oven. 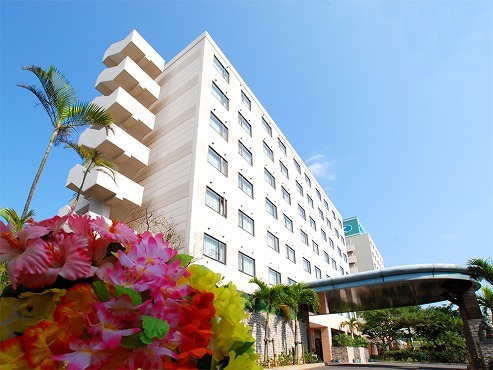 Hotel Bell Harmony Ishigakijima is located at the quiet area in the city center. Shopping streets and public market are in front of the hotel.